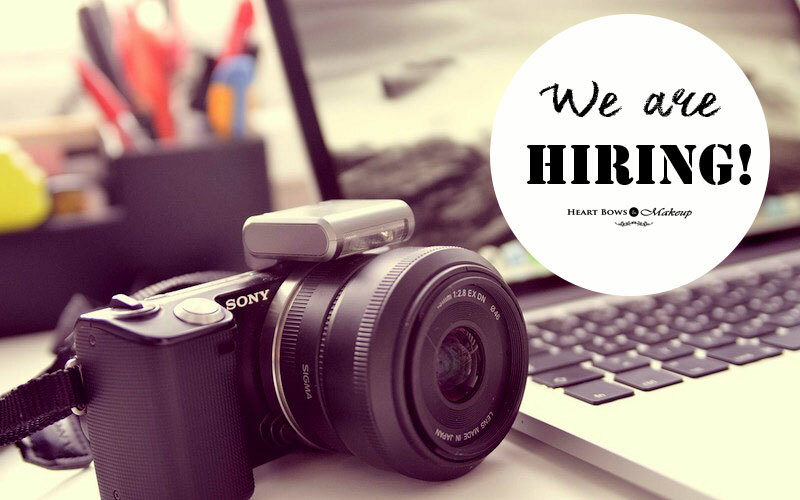 Home » Random » We Are Hiring: Team HBM Is Expanding!! Work From Home: Writers Needed! Are you a makeup junkie? A fashionista which can rattle off the latest trends at the snap of a finger? Someone who spends all her free time coming with amazing D-I-Y projects? Or just someone who is always updated over the latest happenings and gossip of tinsel town? THEN WE NEED YOU! 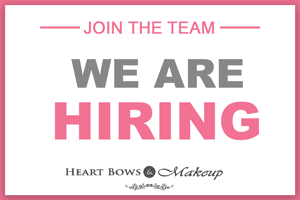 Heart Bows & Makeup has been growing rapidly since the past one and half a years and now we are looking for some fabulous writers to join our team and help us reach new heights. All you need is a flair for writing, a great sense of humour and love for all things girly! We are not looking for the usual product reviews but posts ranging from beauty tricks & hacks, fashion trends and makeup tutorials, skincare tips, exercises and diets to keep fit, celebrity spotting and goss! And if you have a way with the camera, click gorgeous pics, then we might just send across some super awesome products for you to try and review for us! Compensation: This is ofcourse a paid gig and you shall be compensated for your articles. Just drop me a mail with your sample posts and articles at lisha@heartbowsmakeup.com and I shall get back to you with further details. PS: If you’ve contacted us before, pls do get in touch again and don’t forget to send across some of your posts and writings for reference!